The first day of the TrackSkills calendar for 2009 took place on a cold and windy (all be it dry) February afternoon. Along side a full entry to the track day, Really Mean Sounds held a photoshoot at the far end of the paddock with over 100 cars in attendance. This meant for an impressive array of machinery both on and off track. First to catch my eye was a stunning bright orange Lotus Exige, looking particularly ominous on its black rims. A race spec DC5 Honda Integra looked a cracker with its red and white graphics, and I also spotted a Trackskills regular in his M3 CSL. There were also various Caterhams and Westfields, a contingent of rapid clios from a Williams to Amos’ White 197 and out of its natural habitat my very own drift Nissan 200sx. I wasn’t the only RMS staff member on track, with Pablo’s E46 M3 making its debut appearance. What really caught my eye was a gold EK shape Honda Civic that had massive pace to match its screaming revs. 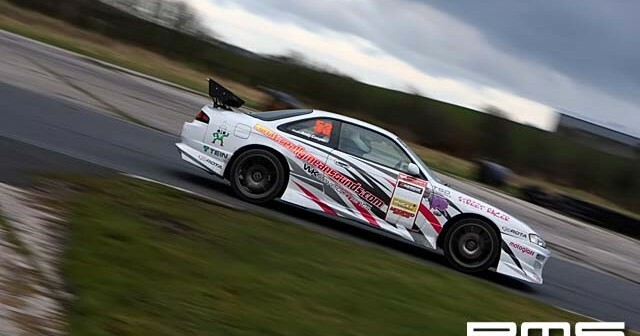 Every time I caught sight of it on track it seemed to be passing something, but with its B16 motor swapped for a KA20 pushing 280bhp (taken from a DC5 Integra) and a stripped and prepped shell it is no wonder it performed so well. Back to the paddock and you would have easily mistaken the RMS meet for a car show, with all members cars turned out to a very high standard. Gaz had brought his Honda S2000 complete with the top down in near zero temperatures! KillerJims show stopper TVR Sagaris was turning heads and you must see the photos of both Graham’s yellow Seat and the black 106 with their interesting alloy wheel centrecaps. The thread with more photos is <a href=”//www.rmsmotoring.com/forum/news-events/91053-pics-rms-photoshoot-afterthoughts.html”>here</a>. For the first time I stepped into the new clubhouse that was completed last year for a bite of lunch. At last Kirkistown has a proper facility for hospitality and the grub was good too, though any shelter from the freezing elements on this day was a bonus. Finally I couldn’t commend more the smooth running of the event and professional yet friendly approach of the organisers. 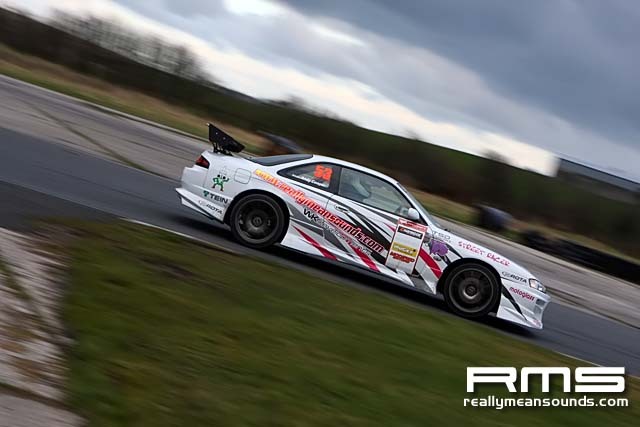 It was a great privilege to run a photoshoot with so many cars at this event and I would like to extend our thanks to Donal at TrackSkills for making it possible.